Looking to kick back and listen to some live music? Nearly every Restaurant bar and grill offers live music to fit anyone's style of music. 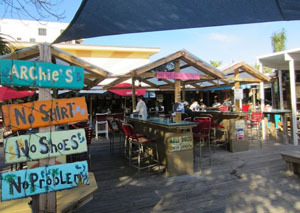 To get you in the tropical island state of mind, Conchy Joe's has a great Reggae band every Thurs, Fri, Sat and Sunday. 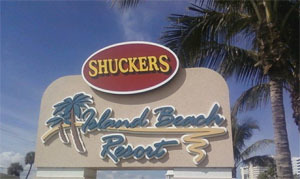 Shuckers is an Oceanside restaurant and bar offering live music Wednesday-Sunday. Live music Thursday-Monday, Outdoor Dining & Bars. Bikers Welcome! 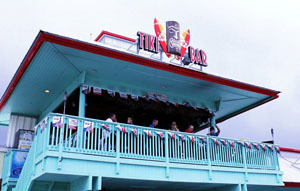 The poolside Tiki Bar offers hot food, cold drinks and lively weekend entertainment. 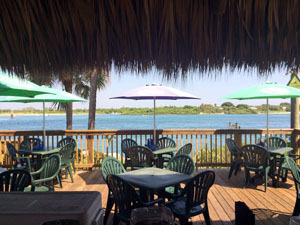 Manatee Island Bar and Grill, Fort Pierce waterfront bar and grill on Hutchinson Island offers live music daily from local artists and Djs. 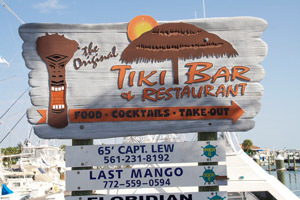 The Original Tiki Bar & Restaurant is a waterfront restaurant located in the Fort Pierce Marina and offers live local music on Fridays, Saturdays and Sundays. 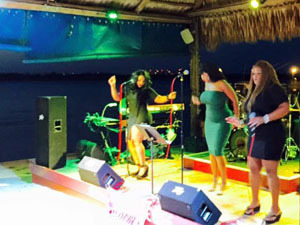 The Inlet located on Hutchinson Island offers live music and also brings in some national and international known bands with a wide variety of music genres to fit everyone's taste. 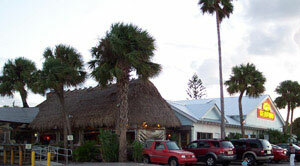 Cobb's Landing, a waterfront Bar and Restaurant in the Fort Pierce marina, offers live music Fridays-Sundays. Conchy Joe's is a favorite destination for some great local Reggae music by Rainfall playing Thursday-Sunday. Live entertainment by other local artist on Mondays. Full bar and live music Thursdays-Sundays. Outdoor Bar & Grill offering live local artists Thursdays-Sundays. 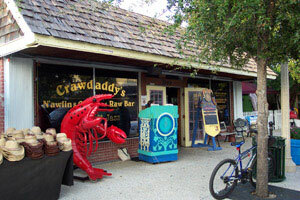 A cool place to meet the locals! 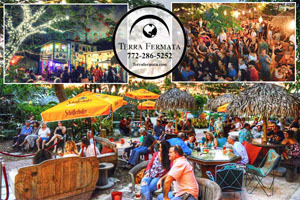 A spectacular outdoor tiki bar with live music and live bands 7 Days a week. Dog Friendly.